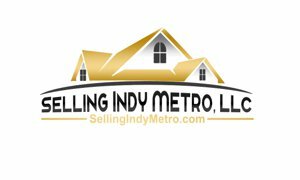 Search for Condos for sale in the Avon Indiana area. Search for Condos for sale in the avon area. Condominium real estate currently for sale in Avon. Avon Condo's for sale on the market range in price from the low $70,000 up to the Low $230,000. You can buy spacious condo's on the Prestwick Golf course that have gorgeous views. Some are in excellent condition and others need work. A condo can be an ideal purchase for someone that doesn't want to mow their yard or do exterior work. Usually the HOA is responsible for mowing, snow removal, roof maintenance, all exterior maintenance except window and doors. The condo owner is responsible for all interior areas as well as the HVAC system, hot water heater and appliances. Make sure and have your Real Estate agent check on which items the HOA covers and which is the sellers responsibility. There are HOA Fees usually by the month and you need to make sure that your home pre-qualification takes these into consideration as well as the property taxes.